In a post-apocalyptic Australia, a father seeks refuge for his daughter before he turns into a zombie. 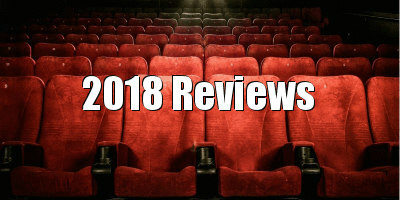 After decades of shambling around in the background as part of some ungodly flesh-eating horde, zombies are being given the chance to tell their own stories in a recent spate of movies that display sympathy for the undead. The BBC series In the Flesh and this year's Irish movie The Cured both feature plotlines regarding victims of infection being rehabilitated back into society. Zom-rom-coms Warm Bodies and Life After Beth present the zombie as love interest. In 2015's Maggie, Arnold Schwarzenegger plays a father caring for his living dead daughter. 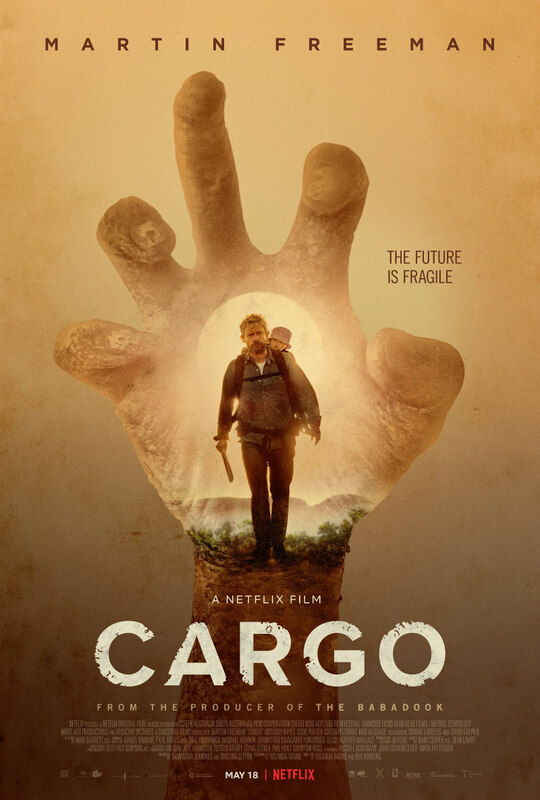 Cargo reverses the dynamic of the latter example, with Martin Freeman playing an infected father who seeks a safe refuge for his infant daughter before he turns into a full-on brain-muncher. Filmmakers Yolanda Ramke and Ben Howling drop us into the ambiguous aftermath of a zombie apocalypse which has ravaged the Australian subcontinent (how Ramke and Howling resisted the temptation to title their movie 'I Walked About with a Zombie' I'll never know). Married couple Andy (Freeman) and Kay (Susie Porter) have taken to the river in a boat with their infant child Rosie. They're headed towards a military base, which they presume will provide sanctuary, but they're rapidly running out of food. Like an oasis, an abandoned boat appears in the river, and much to their delight, it's loaded with enough food to last them for three months. Every silver lining has a cloud of course, and while greedily returning to the boat for more pilfering, Kay is bitten by a zombie, meaning she has a mere 48 hours before she becomes one of the walking dead herself. The couple abandons their boat and sets off on foot in search of a nearby hospital, but deep down they know Kay's plight is hopeless. When she eventually turns, Andy succumbs to a bite himself, leaving him with 48 hours to find a safe refuge for his daughter. Colonial guilt is a theme that has run through Australian genre cinema like a seaside town's name in a stick of rock since the heyday of the 1970s Aussie New Wave, and Cargo continues this trend. While the white population capitulates to infection, the indigenous aborigines are on top of things, having somehow sensed the arrival of the infection and returned to their traditional lifestyles, fleeing towns for the outback. The film seems to imply that the white man is simply leasing the land, and that at some point nature will catch up with him and restore the natural order. After various encounters with possible white surrogate families for Rosie turn sour, Andy finds his best hope for a future for his child lies in the hands of young aboriginal girl, Thoomi (Simone Landers), whom he finds trapped in a cage by an unscrupulous redneck (Anthony Hayes) who uses her as bait to attract the zombies he head-shoots before ransacking their pockets. An opportunistic white man imprisoning a native to steal from the dead is as blunt an allegory for colonialism as you could render onscreen, but it's undeniably powerful nonetheless. 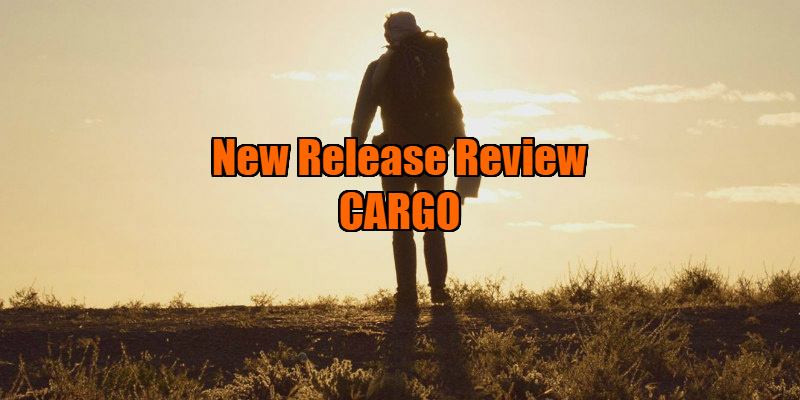 Cargo runs out of energy around the same point as its infected protagonist does, and it could benefit from a tighter running time (Ramke and Howling's feature debut began life as an acclaimed short). It's far from a shambling mess though. Freeman is superb, and his interactions with Andy's oblivious child are genuinely affecting. Cargo may lay on its metaphor a little too thickly in parts, but learning to let go of your previously unchallenged position of power and trust in someone who may not look like you is a lesson many a white man could learn from. Cargo is on Netflix now.